How to Google the million things we don’t know. How to sift through the all of it and find, if not answers, exactly, then some sense of solace in the vastness of the universe or some small satisfaction in the search. And, unless you have a reason not to drink, how to make a goddamn cocktail. 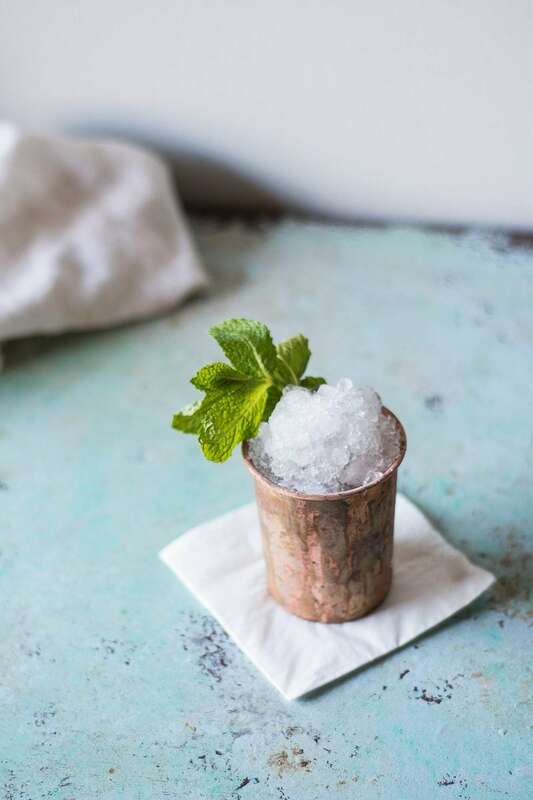 The Mint Julep is a good, sturdy, classic cocktail to know. It’s made of simple ingredients. 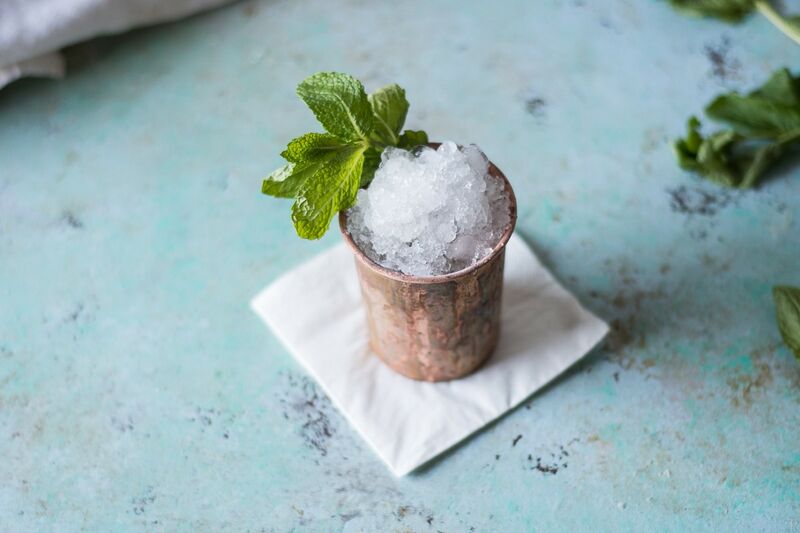 Just bourbon, simple syrup, mint, and crushed ice. 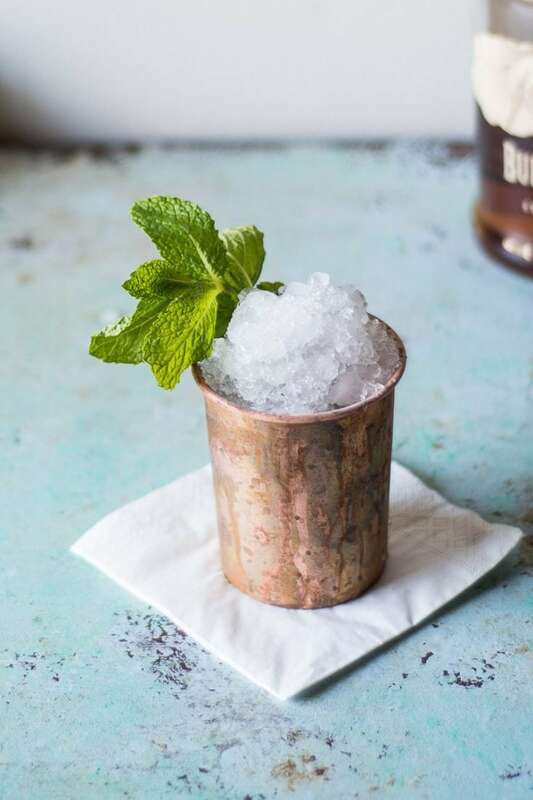 And while it’s traditional to make it in fancy silver-plated julep cup, it works just as well in a simple rocks glass or whatever glassware you have in your cupboard. It is, of course, the drink of the Kentucky Derby. It’s the sort of thing that even casual observers of the race know. Like the jockeys are short and the ladies wear fancy hats and “My Old Kentucky Home” makes for an awkward sing-a-long. But of these, the Mint Julep is the thing that translates best in the world beyond Churchill Downs. It’s simple, really. And you just need one bottle of liquor to make it, which makes it a good choice for the casual cocktail maker. 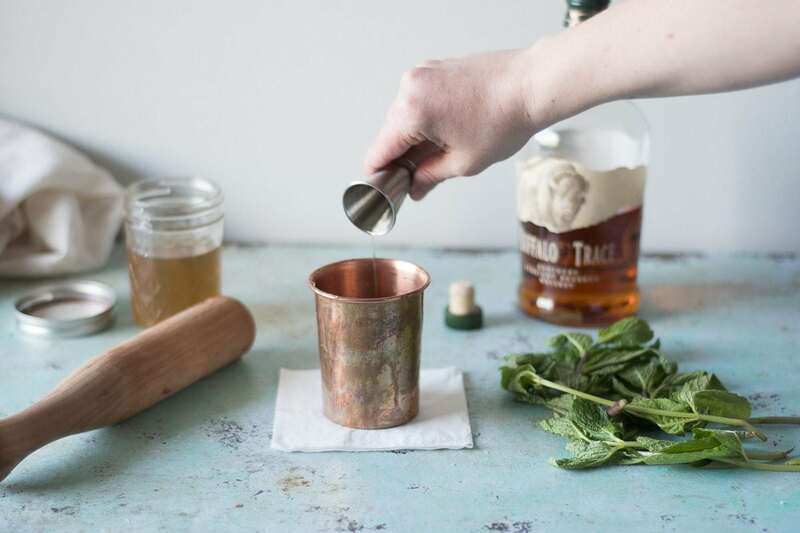 Just pour a little simple syrup into your glass (or julep cup), add some mint leaves, muddle them to get that wonderful minty essence all over the inside of your glass, add some bourbon and give everything a quick stir, fill the glass with crushed ice and garnish with a big old sprig of mint to make it pretty and smell fantastic. And that’s it really. Cheers! 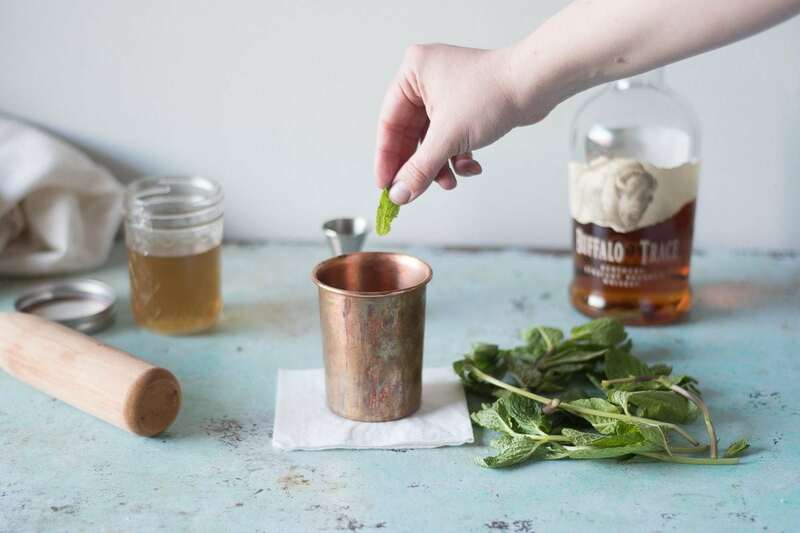 This is the classic Mint Julep, the drink of the Kentucky Derby. You'll want to make the simple syrup ahead of time. (Just mix equal parts sugar and water and heat until the sugar dissolves, then let cool to room temperature.) Do use a good bourbon here, because you'll definitely taste it. You can crush ice in a blender or food processor. These are traditionally served in a julep cup, but I won't tell anyone if you don't want to splurge on a single-use cup. 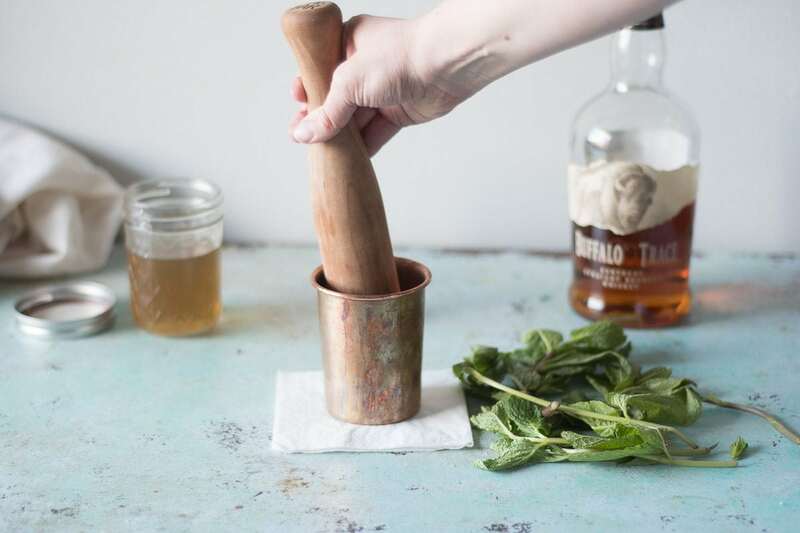 This will be easier if you have a muddler, but you can use the handle of wooden spoon to muddle the mint if you don't have one. 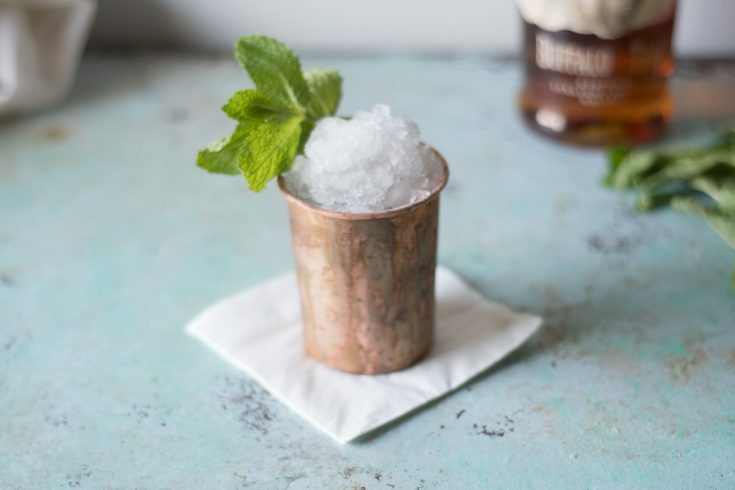 Add simple syrup to a chilled julep cup or other cocktail glass. Add the mint leaves and muddle gently to release the mint aroma. Add the bourbon and stir. Fill the glass with crushed ice and mound it over the top. 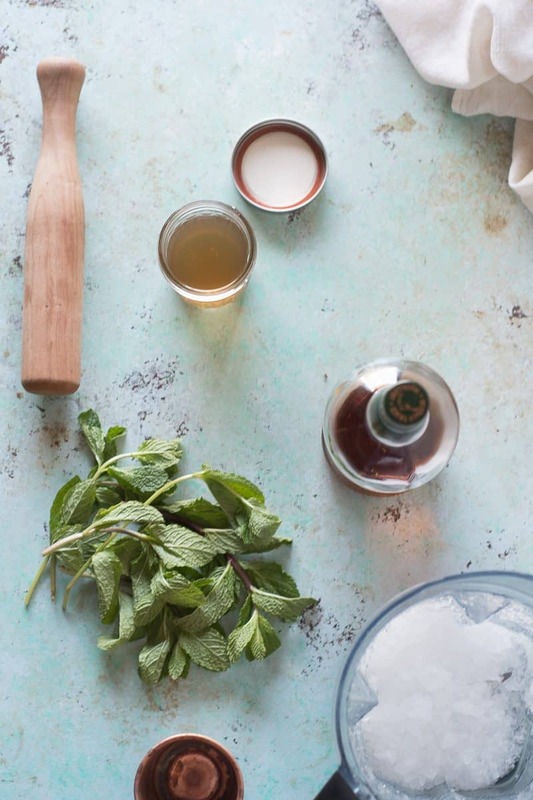 Stick the sprig of mint along the side of the glass. Serve. Ah now that looks like something I could use on a hot day like today! That mint and ice sounds so refreshing. I know what you mean about good bourbon…! Definitely makes a difference. A great way to present this drink. 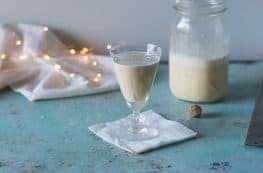 I’ve never had a mint julep but I love cocktails! I had a julep on Derby day and it was so so good. Though someone made it for me. I am now seeing how simple it is for the next time I want one. Not likely that I’ll wait until next May- they’re just too good. No need to wait! They’re really simple! Beautiful photos! I have actually never tried a Mint Julep. Definitely need to now! Best way to start is with a classic. Thanks, Tara! It’s a solid classic worth trying!